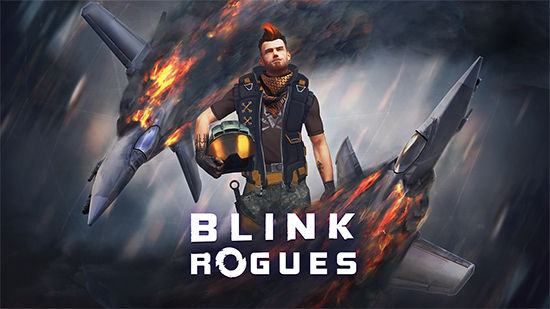 Blink: Rogues, a mash up between classic shoot'em up and arena style one-on-one games, was released in Early Access on Steam by indie studio Fox Dive. 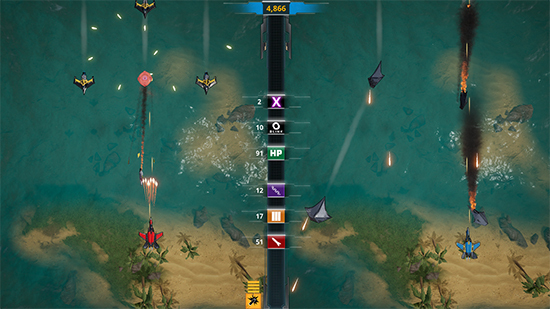 The game aims to revive and challenge the SHMUP genre, by introducing a highly competitive PvP mode. 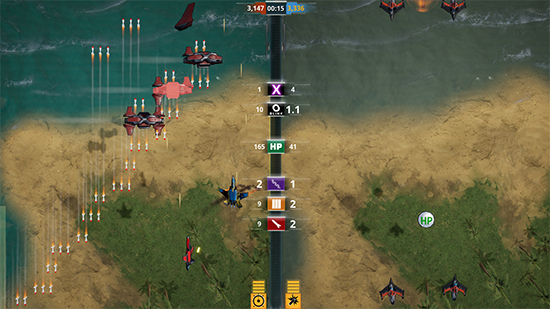 This unique PvP game mode allows for a mix of sharp reflexes and strategic planning, while remaining loyal to the top down vertical scroller layout. 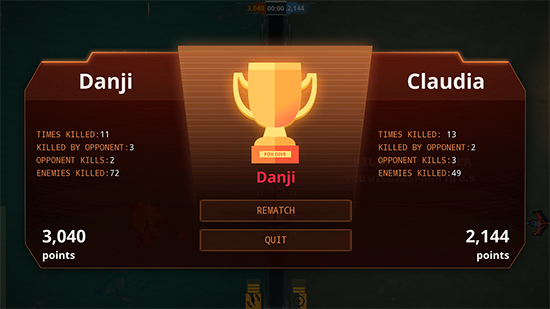 A duel engages players in a 5 minute split-screen match, granting victory to whomever earns most points by the end of that time. Points can be earned either by destroying waves of enemies or by chasing a frag in your opponent's screen, using the namesake Blink mechanic. 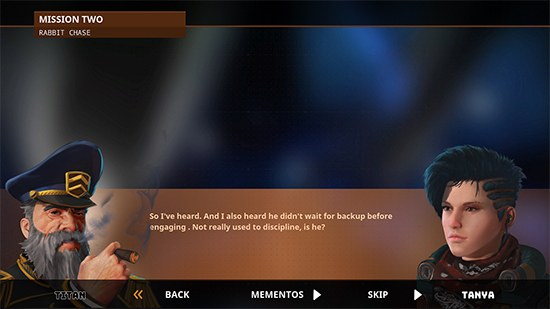 The game also features a single player mode, where you put on the suit of daredevil mercenary pilot Lucius Ahalla, who is trying to unravel his newest employers' schemes while working to destroy the forces of their enemies. 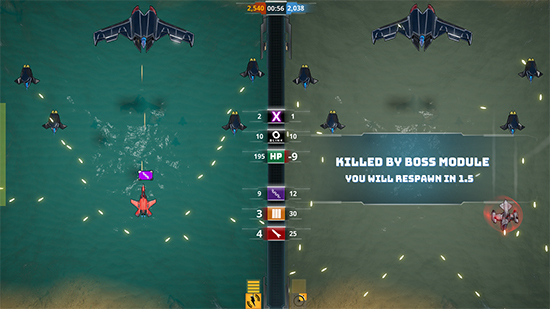 Points earned by shooting enemy ships are totaled in a global leaderboard, that allows for comparison with worldwide competition. In its Early Access form, Blink: Rogues has a local multiplayer PvP mode, a Player vs AI mode and 4 levels in the single player campaign. 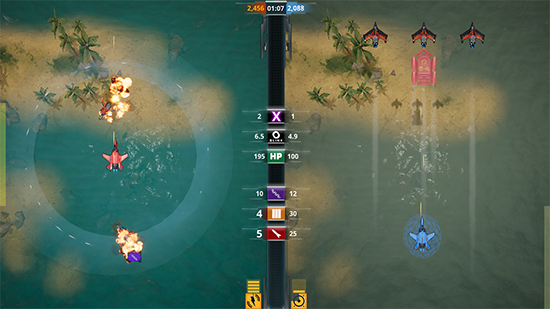 Fox Dive studio plans to release the full version of the game in spring 2019, which is meant to have many new features like: new story and difficulty levels in single player mode, a co-op mode, more ships, enemies and maps, more customisation possibilities and other improvements derived from players' feedback.